I've gone through some great things lately, some newish and some regulars! Biolage Smooth Proof Conditioner- This was ok, nothing fantastic. I feel like I had to use a lot of product to smooth and condition my hair and I ran out too quickly. I normally don't need a lot of conditioner especially because my hair is naturally oily, but I felt like a lot more of this product was necessary to get all of the tangles out. I won't repurchase this, but I do love the shampoo! ZO Oilacleanse- This cleanser has unfortunately been discontinued. This was a part of the ZO medical line which they merged with their skin health line. They discontinued this cleanser because the formula was too similar to the ZO exfoliating cleanser. There are very few differences between the cleansers and I love the exfoliating cleanser as well which will be the one that I pop open next. I will say that I liked this cleanser better than the exfoliating cleanser. For some reason I felt like this one packed a bit more punch. This cleanser has exfoliating beads in it as well as red colored beads that contained vitamin E. Those are meant to be rubbed into the skin until the color disappears. This also has salicylic acid in it which again is great for oily skin like mine. Loved this so much and I'm sad it's discontinued BUT I will be using the exfoliating cleanser next! ZO Skin Health Daily Power Defense- I ran out of this two days after I took these pictures, so it didn't make it in, but still an empty and I've definitely shown in before. Still obsessed. All time favorite product, cannot live without. Of course I have a back up. I won't type anything else about this because I swear it's been mentioned in a million posts of mine. EltaMD UV Physical- I used this SPF constantly on our honeymoon in Costa Rica. This is my favorite facial SPF when I know I will be sweating/outside and I need a full physical block. I usually rotate between this and the Elta Clear SPF for my daily wear, but if I'm outdoors I always choose this one. I did repurchase this! 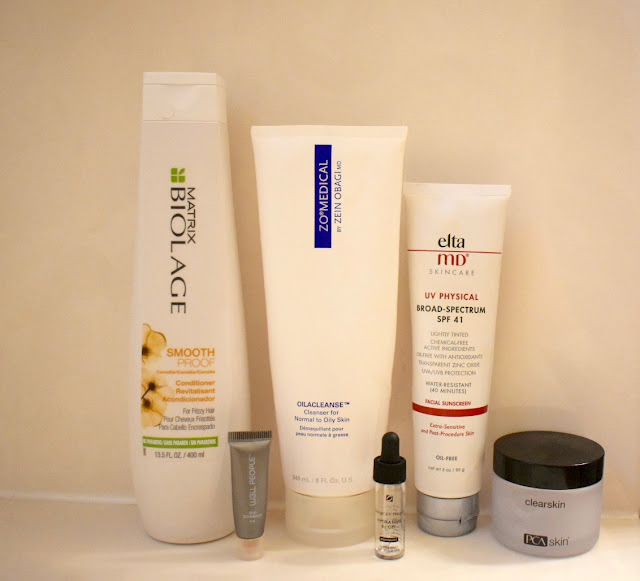 PCA Skin Clearskin Moisturizer- My favorite night time moisturizer. For my oily skin it isn't too thick, but gives me enough moisture to keep me from being too dry when using acne spot treatments and retinols. I have definitely repurchased this and it is one of my holy grail products for sure. Skinceuticals Hydrating B5 gel (mini)- I believe I've reviewed this in full before, but I absolutely love this stuff. I haven't repurchased the full size yet, but it is on my list. This is so great especially in the winter because it gives you the extra hydration your skin may be lacking in the colder months. 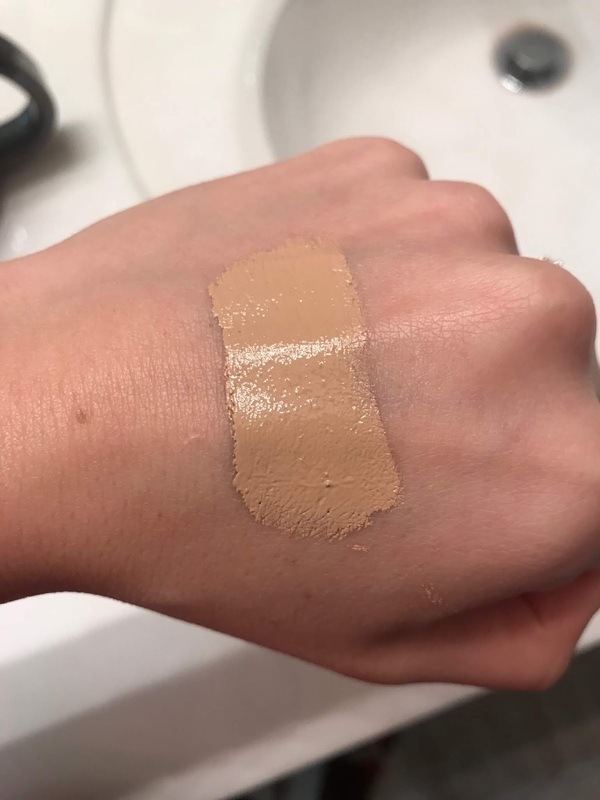 Well People Biocorrect concealer (mini)- This was a very good concealer that was full coverage and did not crease! Some reviews on this say it's not for dryer skin so dry skin beware, but speaking for an oily skin gal this was great. The only thing I didn't love about this was the color. It was a bit dark to use under the eyes so it wasn't brightening enough for me, but I did have the shade "light" and could have gone one down. If you are into more clean makeup this is a great option and would definitely recommend! I am not repurchasing this simply because I have others I like better and need to use up. What have you gone through lately and repurchased?